Richard Irwin (Belper, United Kingdom) on 26 April 2008 in Plant & Nature. Another seasonal shot from my garden. Oh Richard, this is almost too lovely for words! With this type of beauty in the garden I wouldn't go back in the house! Absolutely beautiful!!! Love the detail and light! Wonderful shot. Another flower shot with great clarity and lighting. I'm enjoying these. So vibrant, love the feeling of this bearing down on us! The side lighting really suits this image well. The contrast between the light and shadow is beautiful. Beautiful! I love the colors and angle! Lovely shot of these beautiful flowers! We call them "yaezakura"! 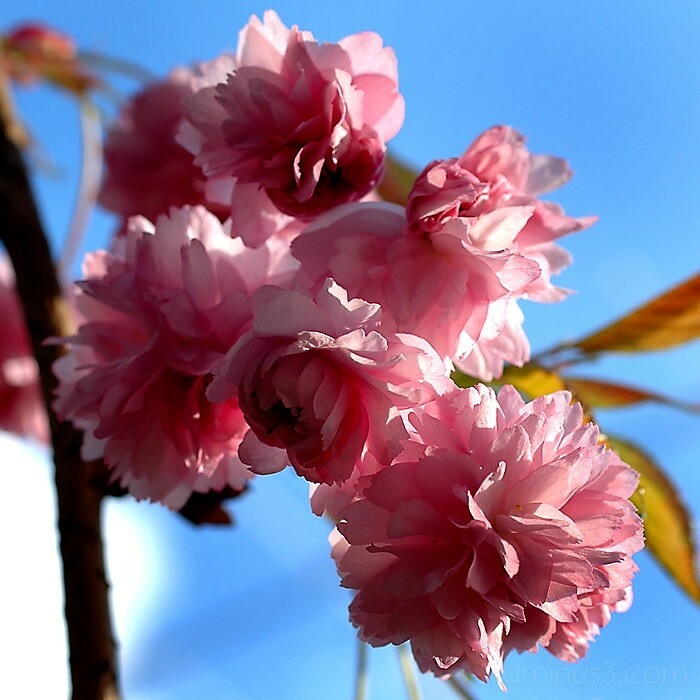 They are the last of the cherry blossoms and the most decorative! To see one such tree in full bloom is like looking at a work of art.